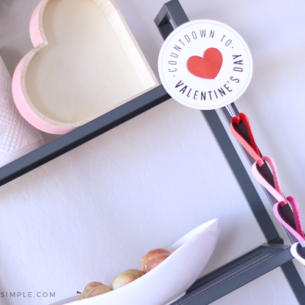 Conversation Hearts Valentines Day cookies are super simple to make and they taste delicious!! Conversation hearts are a necessary part of the Valentine holiday, even though they taste like chalk! We buy them, give them, and decorate with them because they’re cute. 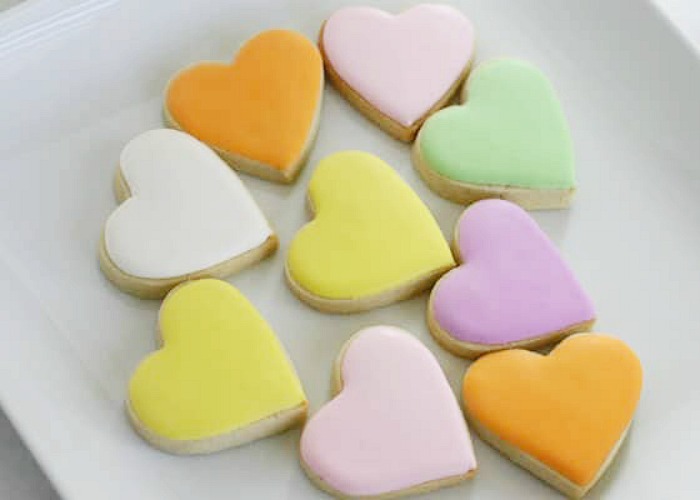 These Conversation Heart Sugar Cookies are not only cute, they taste good too! 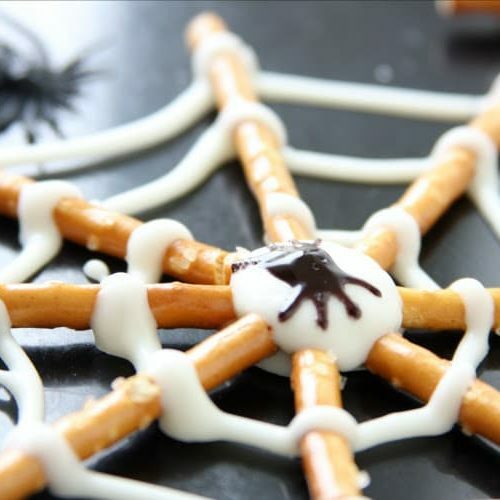 And if you don’t have a steady hand, mad piping skills or a projector to provide a guide, never fear! I have a very simple solution for you today, so keep reading! 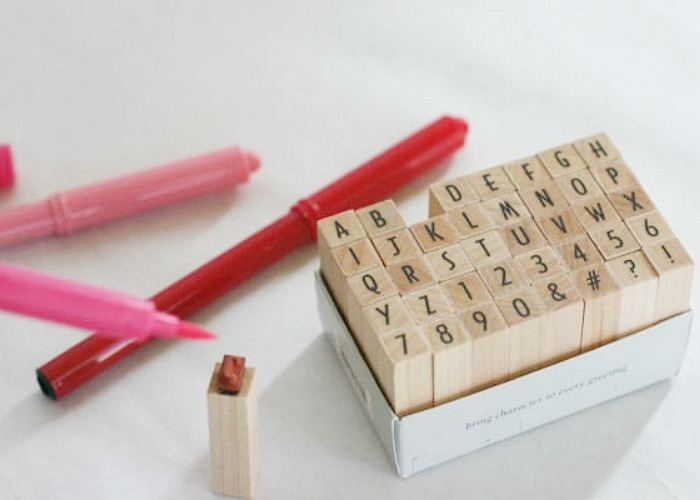 *I found that the rubber stamps worked a little better than the acrylic stamps. 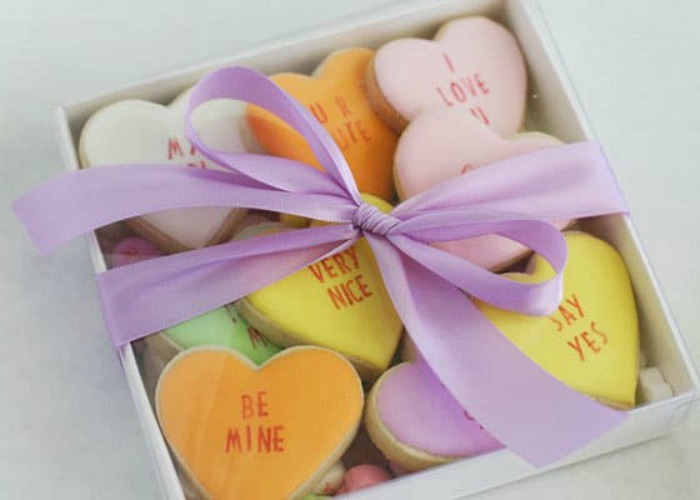 With your cookies frosted and ready to go, it’s time to stamp your conversation heart messages! Color the letter stamp with your edible ink pens, then firmly, but gently stamp it on top of the cookie, being careful not to crack the frosting. Let the ink dry completely, then wrap them up and you’re good to go! 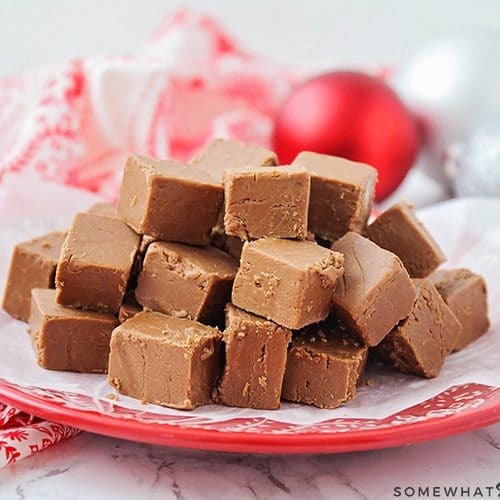 Drying time is super quick and you can package them and wrap them up in a jiffy! Hows that for some easy Valentines Day Cookies?? 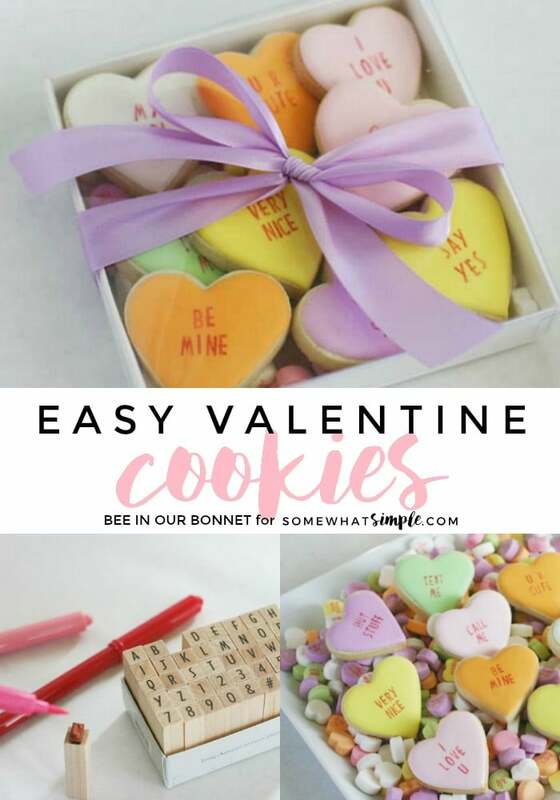 If you are ready for more, take a look at my other Valentine Cookies that took longer to make. Oh boy. This takes some talent! Beautiful. 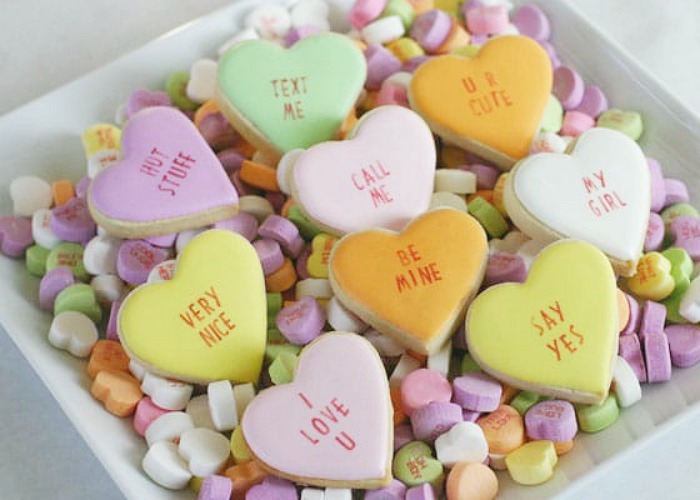 Wow, candy conversation hearts I actually want to eat! I am thrilled to know that you can stamp cookies, too. Thanks for the ideas.